If you feel that your mental performance is diminishing, you should drink some water: water increases your brain power. Your brain is typically made of 73 % of water, drinking it helps you stay alert, think, focus and concentrate. Consequently, your energy levels improve as well. Make sure you are always hydrated because dehydration affects your memory, makes you become more sensitive to pain, reduces your cognitive as well as your motor skills and affects your mood. Water aids in fat by-products removal and helps you to feel fuller. This acts as a natural appetite suppressant and can improve your metabolism as well. When you drink plenty of water before taking a meal, instead of filling up on things like bread, it’s less likely that you will gain weight. Dehydration can trigger migraines and headaches in some people. 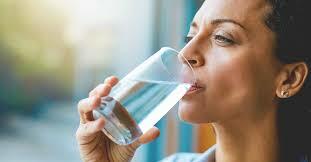 Several studies have revealed that drinking water can relieve headaches in individuals who are dehydrated. This, however, seems to depend on the headache type. One study of 18 individuals found that water didn’t have any effect on the headache frequency, but it reduced the intensity and duration. Physical performance can suffer if you don’t stay hydrated. This is especially during high heat or intense exercise. If you lose just 2 % of the water content in your body, dehydration can cause a noticeable effect. However, it isn’t uncommon to see athletes lose up to 6 to 10 % of their total water weight through sweat. That can result in altered body temperature control, increased fatigue and reduced motivation, making exercise feel more difficult mentally and physically. Optimal hydration has been proven to prevent that from occurring, and may even decrease the oxidative stress that takes place during high-intensity exercise. That’s not surprising considering your muscle is about 80 % water. Therefore, if you always exercise intensely and normally tend to sweat, staying hydrated can certainly help your performance. Your vertebrae bones are supported by discs. The central nucleus of every disc is made of water. If these discs lack water, it can result in back pain. Dehydration leads to cramping. Hydrated muscles are less prone to sprains. This is why water is important because it acts as a natural lubricant, particularly for your joints and muscles. If you develop a healthy hydration, you will become more flexible, it’s less likely that you’ll experience sprained ankles plus you are less likely to become sore after your next killer workout. 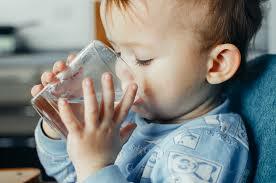 Studies have revealed a link between water consumption and coronary heart disease. Water maintains the proper fibrinogen distribution and viscosity of your blood and plasma. If you are having, back pain, headaches, migraines, shoulder pain or hip pain, and you are looking for a chiropractor to get relief, visit Chatfield Chiropractic at our Sunbury or our Roxburgh Park Clinic.